"Arctic law-making must account for evolving cryospheric conditions. 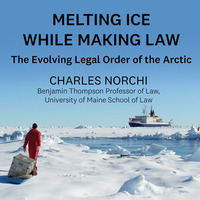 Professor Norchi will present the trends, challenges and plausible futures of the legal processes and outcomes pertaining to the Arctic." Sponsored by the Institute of Arctic Studies at the John Sloan Dickey Center for International Understanding.